A 45-minute hike up from the parking lot at Mount Beacon is the site of two naval plane crashes. The spot is unknown to many, but David Rocco and the Friends of the Mount Beacon Eight are trying to change that. On Veteran’s Day in 1945 — then known as Armistice Day — a Navy transport plane carrying six men on a routine flight from New Jersey to Rhode Island crashed near the Northwest ridge of Mount Beacon in Fishkill. Ten years prior, a similar plane crashed in the same area, killing two servicemen. The deceased men are now known as the Mount Beacon Eight. The legend was Dixie Kiefer, a Commodore in the Navy who fought in both World War I and World War II. He was awarded the Distinguished Service Medal from Secretary of the Navy James V. Forrestal, a Beacon native. Forrestal had named Kiefer “the indestructible man” for surviving near-death experiences in battle. 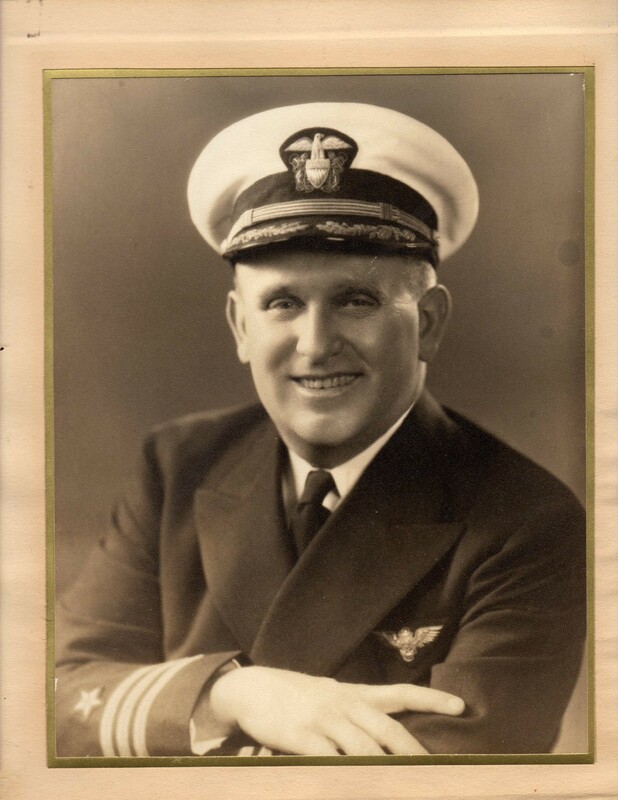 Commodore Dixie Kiefer, photo courtesy of David Rocco. At Fishkill War Memorial Park in November 2015, a ceremony was held to honor the eight lives lost and bring attention to the tragedy. “We just wanted to bring recognition to the fact that these six, altogether eight, men were killed at Mount Beacon right across from Route 52. The goal was to raise money to buy a monument for the park, along with two historical markers at each of the crash sites,” Rocco said. He wants to put the monument with the engraved names in the park because not everyone can manage the hike. Commodore Kiefer’s medals, photo courtesy of David Rocco. So far, $2,000 has been raised for the memorial, but Rocco estimates the group needs another $3,500. Although people have come to join his hikes and watch his presentations, there has been a lack of donations. “I’m really hoping the hikes I have, the presentations, the book, whatever money I make on the book, which hasn’t been a lot, will be put towards the fund as well,” he explained. Last Saturday, Rocco took a hike to the site with the Putnam County Historical Society. “It was a beautiful day to hike up there. There was about eight to 10 people. I’m hoping some of those people will be able to reach down in their pockets and help the memorial fund,” he added. Pieces of the plane still remain at the site. 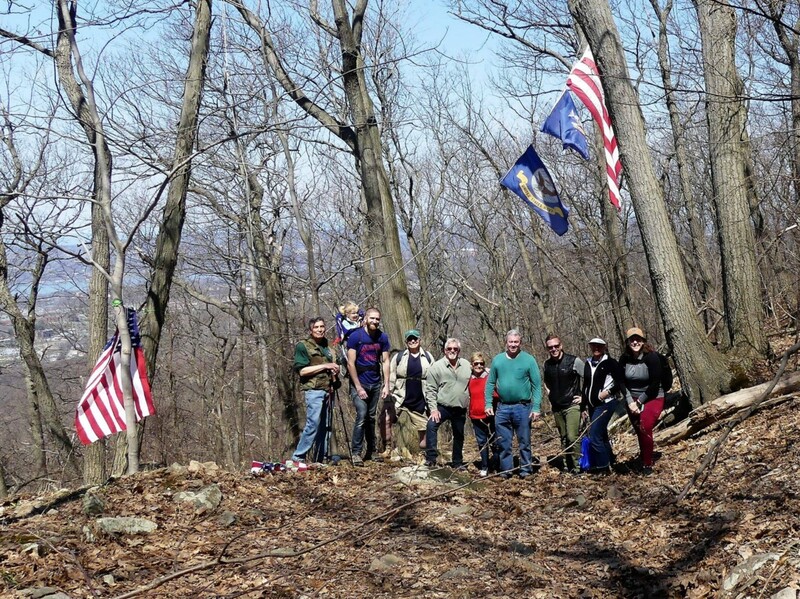 Several hiked to the crash site on April 14, photo courtesy of David Rocco. This Memorial Day, Rocco will be leading a hike to the crash site where he has hung the U.S., New York state and Navy flags in honor of the lives lost. He will be changing the flags, which are exposed to elements. The flags were changed last year and it is starting to become an annual event. 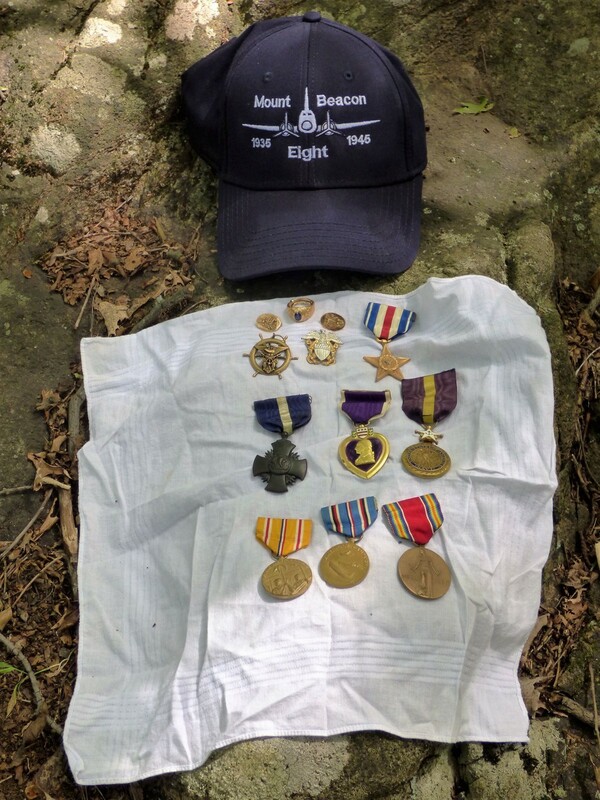 On June 14, Rocco will be presenting about the Mount Beacon Eight at the Desmond Fish Library in Garrison. As Rocco said, “No donation is too small.” To learn more or donate to the memorial fund, visit the Friends of The Mount Beacon Eight Facebook page or email David Rocco at coyoteroc@optonline.net.